The Central Drugs Standard Control Organisation (CDSCO), the apex regulatory authority that oversees the manufacture and sale of medicines in the country, has proposed a self declaration mechanism for pharmaceutical manufacturers for updation of information about the products they manufacture from their registered production centres. According to the proposal, the drug manufacturers licensed to manufacture in the country will be asked to upload the details of their manufacturing licences along with the list of the products permitted under such licences on an online data base developed by the government. The comprehensive database, termed "SUGAM", will have the details of all the licenses issued by various state food and drug authorities (FDA) including the details of manufacturing sites, and approved products. The regulator is also exploring the possibility of relaxing the need for a no-objection-certificate (NOC) from CDSCO to manufacture and export drugs that are otherwise not approved for domestic use. At the moment, India's drug law - the Drugs and Cosmetics Rules, 1945 - does not allow states to give manufacturing licenses for export of medicines that are not allowed to be sold in the country, without an NOC from CDSCO. The industry has been complaining that the need for such limited, export specific permissions, for manufacture of such drugs cause delay in executing export orders. 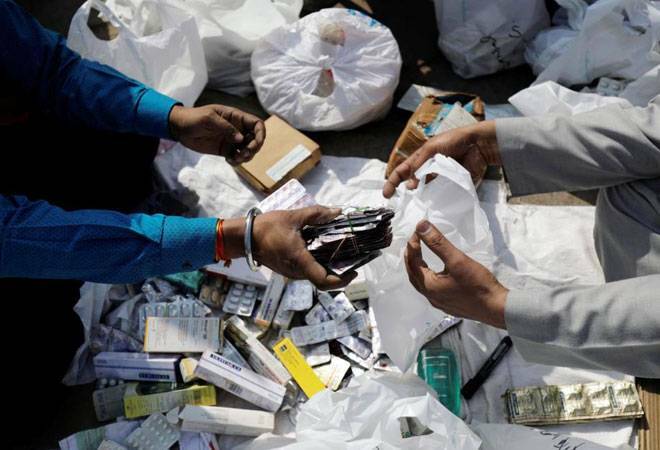 An apex drug advisory committee called "the Drugs Consultative Committee", which draws members from the Centre and all the State Governments, is currently looking at these proposals to bring in uniformity in the administration of India's drug regulations. According to the Pharmaceuticals Export Promotion Council of India (PHARMEXCIL), India's pharmaceutical exports stood at $16.8 billion in 2016-17 and are expected to grow by 30 per cent, over the next three years, to reach US$ 20 billion by 2020. During April 2017- January 2018, India exported pharmaceutical items worth $10.76 billion. India Brand Equity Foundation estimates that India accounts for 3.1-3.6 per cent of the global pharmaceutical industry in value terms and 10 per cent in volume terms. It is expected to grow to $100 billion by 2025. The market is expected to grow to $55 billion by 2020, thereby emerging as the sixth largest pharmaceutical market globally by absolute size. Branded generics dominate the pharmaceuticals market, constituting nearly 80 per cent of the market share (in terms of revenues).